These 15 recipes for leftover corned beef will have you wanting to make corned beef and cabbage again soon just for the leftovers! 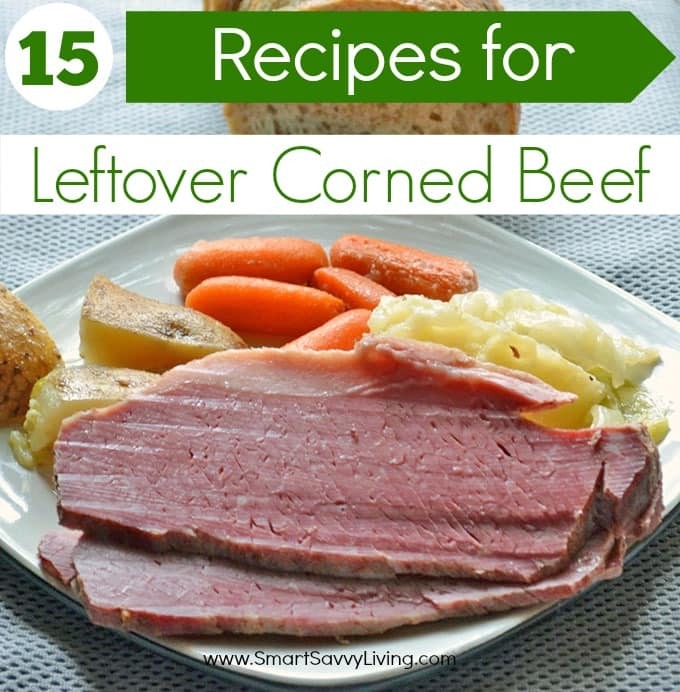 Do you usually have leftover corned beef? We usually have a bit and while it’s great just reheated, I try to find a new way to incorporate the leftovers into a recipe as well. I was left scratching my head trying to come up with recipes for leftover corned beef that were a bit different this year though, so off I went searching. 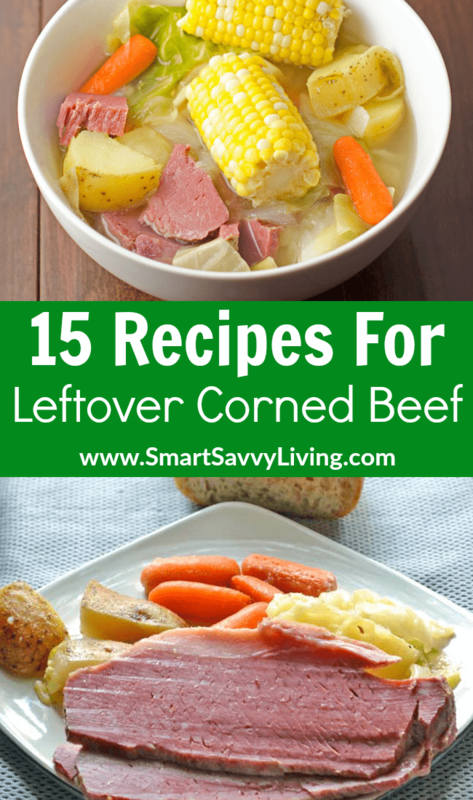 Here’s 15 delicious recipes for leftover corned beef that I found. When you’re using leftover corned beef you definitely don’t want it to be dried out or freezer burned. If storing corned beef in the fridge I like to use a high-quality air-tight container and if you have any leftover broth add in a bit to help keep the meat moist. If freezing the corned beef I like to put it in a freezer-safe Ziploc bag. If I don’t have enough meat to fill up over half of the bag I usually wrap it in plastic wrap and really try to get as much air out as possible. We also bought a FoodSaver vacuum sealing system this year while they were on sale at Costco. If you want to extend the life of your frozen food from becoming freezer burned it definitely seems to help! Smart Savvy Tip: I always make a mess of the bag or counter when trying to fill up freezer bags myself. Until I got this hands-free food storage bag holder that is. It’s super affordable and such a big help! 1. Corned Beef Hash – The classic recipe for leftover corned beef. 2. Reuben Dip – With some crackers or toasted rye bread – just yum. 3. Corned Beef and Cabbage Soup – Nothing better than soup if it’s still chilly where you live. And, we just had even more snow overnight! 4. Corned Beef and Spinach Strata – I totally love this idea over having the same old hash! 6. Corned Beef Stir-Fry – This is probably one of the last ways I would think of using leftover corned beef but it sounds really yummy! 7. Corned Beef Eggs Benedict – Eggs Benedict is one of Mr. Savvy’s favorite breakfasts and I think he’d love this twist. 8. Irish Egg Rolls – I don’t know about you, but I’m a sucker for egg rolls. 9. 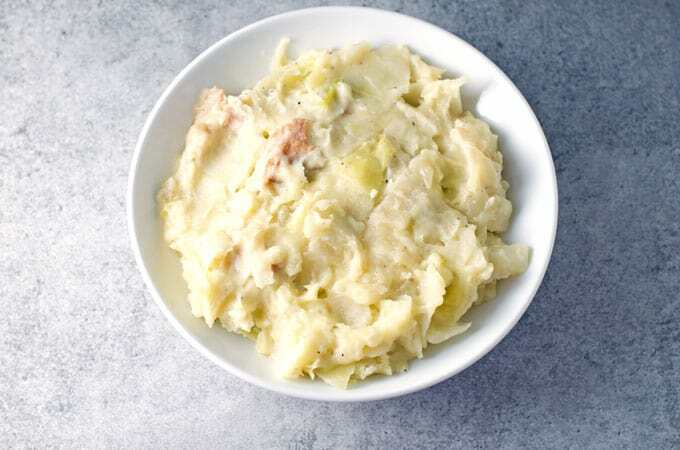 Colcannon – Make up some mashed potatoes and instead of using the bacon, add in your leftover corned beef! 10. Corned Beef and Cabbage Turnovers – With ingredients like cabbage and puff pastry, how could it not be delicious?! 11. Irish Tacos – Another way I never would have thought to use corned beef but it sounds so tasty. 12. Reuben Sandwich – Another classic recipe for leftover corned beef and one of my simple favorites. 13. Corned Beef Cabbage Rolls – This sounds like a great way to change up the tasty duo. 14. Skinny Corned Beef and Cabbage Soup – This sounds so flavorful yet healthy. 15. Leftover Corned Beef and Cabbage Pie – What a great way to celebrate a belated Pi and St. Patrick’s Day! I hope you enjoyed these 15 Recipes for Leftover Corned Beef . What’s your favorite way to enjoy leftover corned beef? Yum! I’m always looking for new ideas and recipes for corned beef! My fave? The Reuben Potstickers on my blog, but I might have to try the corned beef eggroll next! Wow I bet you could sub any protein for these recipes. They all sound amazing. I haven’t eaten and I want to try everyone! I love corned beef but would never have thought of all the possible ways to use. Thanks for the round up. Now we have choices other than hash! These are some great recipes!! I hate throwing away the leftovers, this will help use the corned beef up! the irish egg rolls are new to me. sounds good!